Humorous vector graphics with a silly duck. Cartoon animal pointing at its head and asking “me?”. 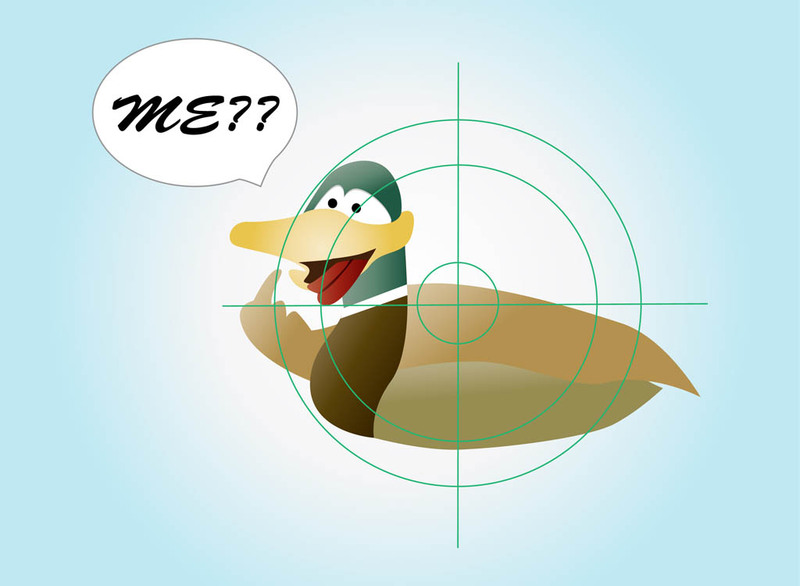 Geometric shapes in crosshair composition in front of the duck. Free vector graphics to create hunting, wild animals, hunt, hunters, crosshairs, guns, shooting and wilderness designs. Tags: Animal, Comic, Crosshair, Duck Hunt, Hunting.